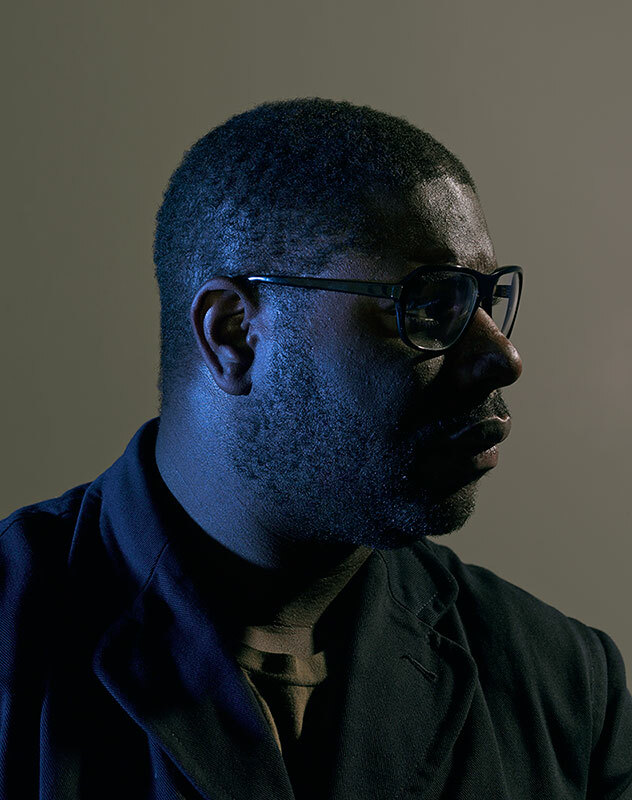 I love this portrait that Walker photographer, Gene Pittman, shot of artist/director Steve McQueen while he was here for his dialogue with Stuart Comer (watch the conversation here). The blue glow suggests some off camera television or computer screen—a nice allusion to McQueen’s profession and also his piece Illuminer, in which a body in a hotel room is visible solely by the glow of a television news report. And the flat gray background feels oppressive, helping accentuate the limbo-like environment between light sources and that sense of artificiality that makes me want to frame it like an Elad Lassry photo. McQueen loved it and told Gene it was mad.